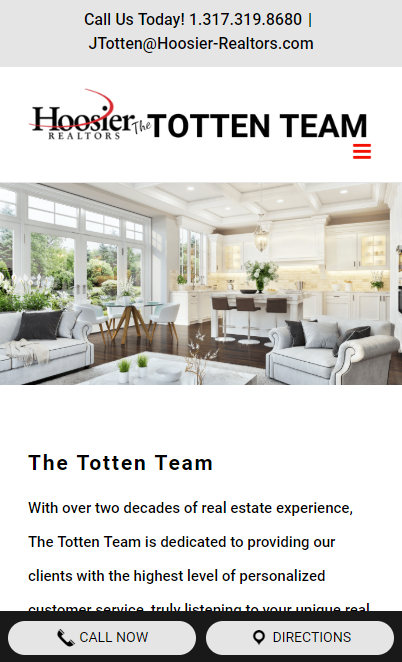 Joanne and Andy contacted us looking for a professional, user-friendly real estate website where their customers could easily search for homes and learn more about the extensive experience they have as a real estate team. In addition, it was very important to them that site visitors were able to easily see that they are part of the great team at Hoosier Realtors and could offer buyers and sellers alike not only their experience but all of the great marketing resources and structures in place at Hoosier Realtors. Joanne and Andy’s input helped us build a truly beautiful and appealing website. The website’s MIBOR connection is powered by the feature-rich IDXBroker platform. This easy-to-navigate site also features a mobile button to make it easy for visitors to call or navigate to their office. Andy and Joanne have an enormous amount of combined experience. They are detail oriented and have a sincere desire to help their clients realize their homeownership dreams.